How long is paint good for? Until Hell Freezes Over! Paint is good for as long as it has not frozen or been infected with mold spores (you don’t want mold flying around in or around the outside of your house). How long does paint last in a can that was never opened? For latex around 10 years, and for oils around 15 years… but these both will probably need to be strained before it is used. Here is all about it. We use strainer cones: they are not expensive. 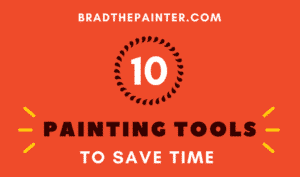 If you need any tools, check our post for every basic professional painter’s tools. Does paint go bad? The shelf life of paint is years and years. We show below how to save old paint and give tips on paint storage. How long is paint good for once opened? That’s complicated. If you know about paint storage, you may be ok. More below. How long does paint last in a bucket? 10 years for latex, 15 for oils… Maybe! See below. How long can paint be stored? Not forever, but for a very long time. Key point: avoid freezing. So, does paint expire like food? No, as Buddha say, “Nothing lasts forever”. Big safety tip: Never use old (or any) exterior paint inside your home. 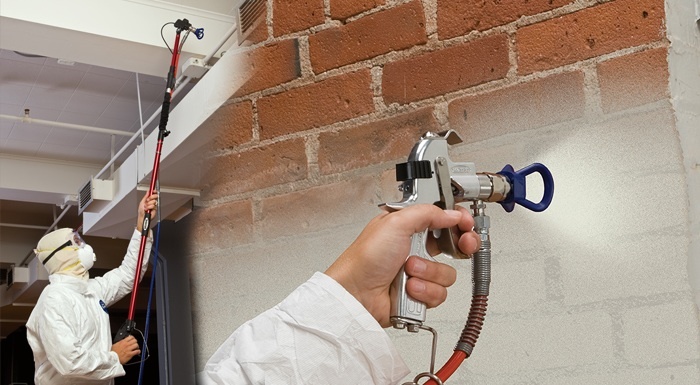 We explained the dangers in a recent post: paint is good if it passes the test we show you there. When is old paint no longer useful? How do you get rid of old paint easily? It’s all there. We NEVER pour old paint down a drain, either to septic tanks or city water. It’s just wrong. There is an easier way, but the best way is to use it! 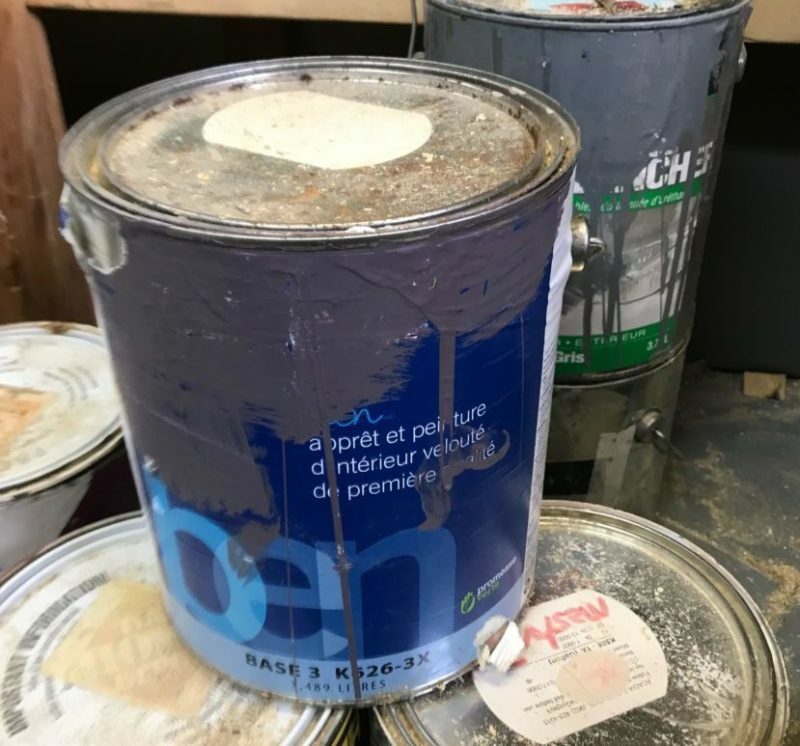 This paint hardener turns unwanted liquid paint into a solid that the landfill will accept….and keep the nasty chemicals out of our drinking water. If you want to go the slow way, just open the lid and leave covered with a rag in a warm area. It will take some weeks to dry up. If any paint is in the lip of the lid, place a rag before hammering or you’ll get a shower. Also, your town will probably give you a ticket if they find liquid paint in your garbage or recyclables. Tip: if you are using oil-based paints, always wear a respirator (we simplified the complex world of respirators in an earlier post). Finally, if you have an old can of paint, you can put it in the shaker at the paint store for free…but they will not put rusty cans in the shaker because they have seen it all: Ba-boom. Paint showers. 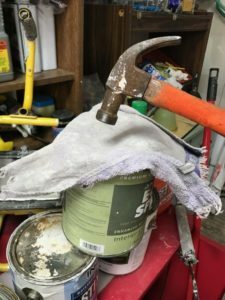 But you can strain with re-useable strainers and put your old paint into clean, empty cans for shaking…it’s an offer no paint store can refuse. Our strainer cones are not expensive so we don’t even try to wash them. But we do wash the large strainer bag (5-gallon bucket size), if they never touch oil-based paints.